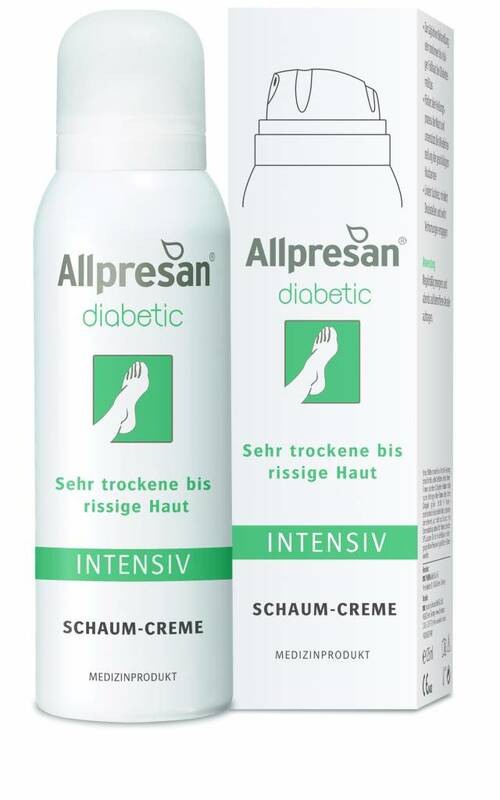 The Allpresan diabetic foam-creme intensive is suitable for the treatment and care of really dry feet with diabetes mellitus. It helps the healing process of the skin and supports the regeneration of the damaged skin barrier. Itchiness will decrease and cornification can be countered. Application: Apply regularly in the morning and evening on affected skin parts.